January’s Story of the Month has been written by Shaun Finlay from Hastings. He tells us the story of his daughter’s life with spina bifida. Summer was born with a hole in her spine. Her nerves were all exposed causing her to be paralysed from her chest down. This has resulted in her now being a full-time wheelchair user, double incontinent and very reliant on those around her for daily support. On top of this she was also born with Hydrocephalus (extra fluid on the brain). This is controlled by a ‘shunt’ which drains the fluid from her brain down to her belly. It is essentially a valve, which is programmed using magnets, to control the amount of fluid to be drained. Unfortunately this means she must avoid heavy magnetic fields, e.g. airport scanners, MRI scanners, as they can adjust the setting of the shunt. With all of these diagnoses, she has had to deal with much more than the average 6 year old. Currently she has had 4 brain surgeries, 1 major spinal surgery, multiple bladder surgeries and regular scans and check-ups, most of which are done in the Evelina Children’s Hospital in London. She also has many more operations planned for her future, including a full bladder reconstruction. 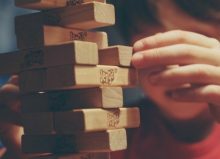 As a family we often have to fight on Summer’s behalf, for equipment and services that she should be entitled to and should be receiving as standard. For example; when Summer was just 2 ½ years old, her consultant in Evelina recommended she have a wheelchair for her own independence and self esteem. However, her local wheelchair service declined. This then bought our first big fight for her! We were very lucky to come across a small local charity (Charity For Kids) who were able to fund a Quickie Youngster 3. This is a lightweight wheelchair that suited all of her needs. Since then the charity has assisted in the purchase of further equipment which was declined by the NHS, including physio equipment and her 2nd wheelchair, a Ti-Lite Twist. The local community also pulled together to raise money for a specialist bed for Summer, again cementing our faith in the community spirit of Hastings. All of this obviously takes its toll on Summer and the whole family, however to meet Summer you would never guess! She is a very bright and cheery little girl, who loves unicorns, fairies and princesses. Summer has an extremely kind and caring nature. She is one of the most selfless people I know, regularly engaging in charity events to ‘give back what they have given’. She is currently training with her dad for her 1st half marathon! Summer is a big personality in the local community, spreading joy and smiles everyday. Despite her obvious challenges, Summer loves to join in playing with her peers and is involved with an inclusive cheer group, performing in shows and events. She has recently begun ballet, with the prospect of shows and dance exams in the near future and also involves herself with local charities attending events and raising funds to support others. To date, Summer (with help from family and friends) has raised nearly £10,000 for charity and has more planned for future events. When she isn’t dancing, Summer has a daredevil streak within her. 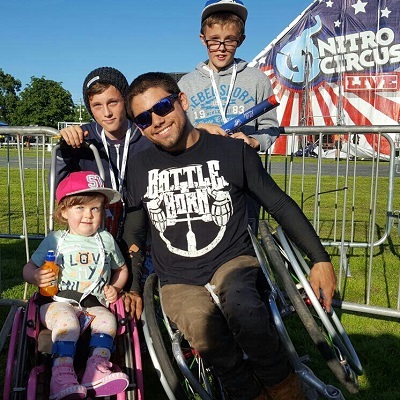 Having discovered para-athlete Aaron Fotheringham on YouTube, Summer has been interested and involved in WCMX (wheelchair moto cross). 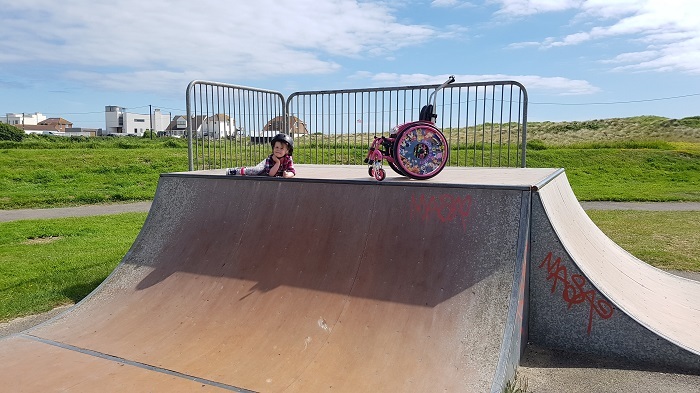 She has followed her older brothers and taken her wheelchair to skate parks and ramps and also to BMX pump tracks. Although she finds it rather daunting and scary to start, she loves the thrill of speed and pushing herself and her chair to its limits. Any parent would agree that, every achievement your child makes will make you proud. As a parent of a child with additional needs those achievements can be very different. With Summer’s paralysis and the challenges that come with that, her sheer determination and perseverance inspires us, her friends, peers and everyone she meets. 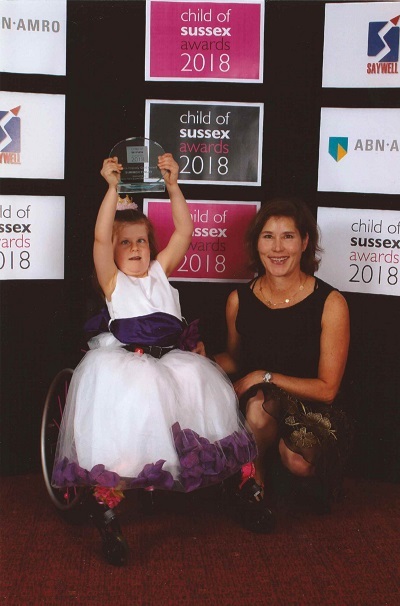 This was recognised last year when Summer was awarded with the ‘Gold Award’ at the ‘2018 Child Of Sussex Awards’ in Brighton. Today, it’s still a huge highlight in her life. And it gives her the recognition of the brave, strong and amazing little girl she is. In the six years of her life, we have become more than just parents. We have become carers and nurses to her, advocates for hers and all disabled rights. We have become specialists in her conditions and a voice to stand up for her rights and needs. This is part of the ‘behind-the-scenes’ of parenting a child with extra needs, which no one ever tells you about. But we wouldn’t change a thing! You can follow Summer’s Story through social media on Facebook, Twitter and Instagram using the links below. So What Was Chris Doing at Coronation Street? Carole’s New Wheelchair Gives Her the Push She Needed! What Are the Best Accessible Christmas Activities in the UK? Stories Wanted. Were You Involved with the Tan Y Bryn Residential and Holiday Home in Abergele, North Wales Between 1950 – 1982? Would Your Staff Really Embrace Single Handed Care? What Have Disabled Living Been up to in December? What Have We Learnt from Our Community Curation Training? Were You Involved with One of Manchester’s Oldest Charities? Are You Coming to See Newlife at Kidz to Adultz Scotland? Do You Know About These Toileting Problems with Children?